Lil Monster has the post Christmas grumps. All of the excitement leading up to Christmas and now it is done. About 1 o’clock this afternoon he was bored and starting to get whiney. Mama had to think fast. Really? Do you really think you can stump me? Your Uncle Mike tried once when he asked me to make “spaghetti cookies” one year for Christmas – so I made these. Your Dad told me I could never throw a surprise party for him. He was stunned when he walked into the arcade to see his friends and family. 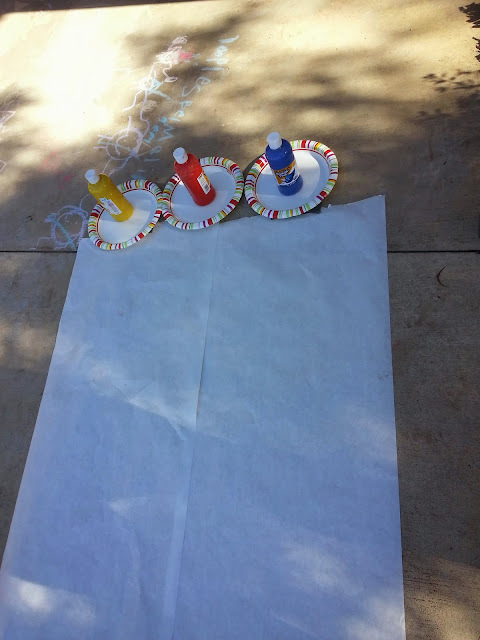 I cut some long pieces of butcher paper then grabbed some washable paint, duct tape and paper plates. 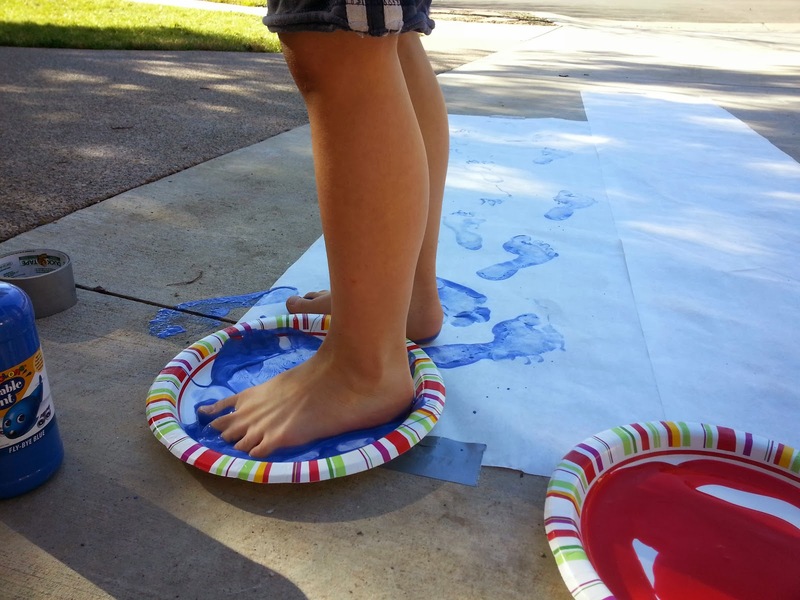 I taped the paper to the driveway, put some red, yellow and blue paint in the plates and filled a wash tub with soapy water. He understood as soon as he saw my set up. 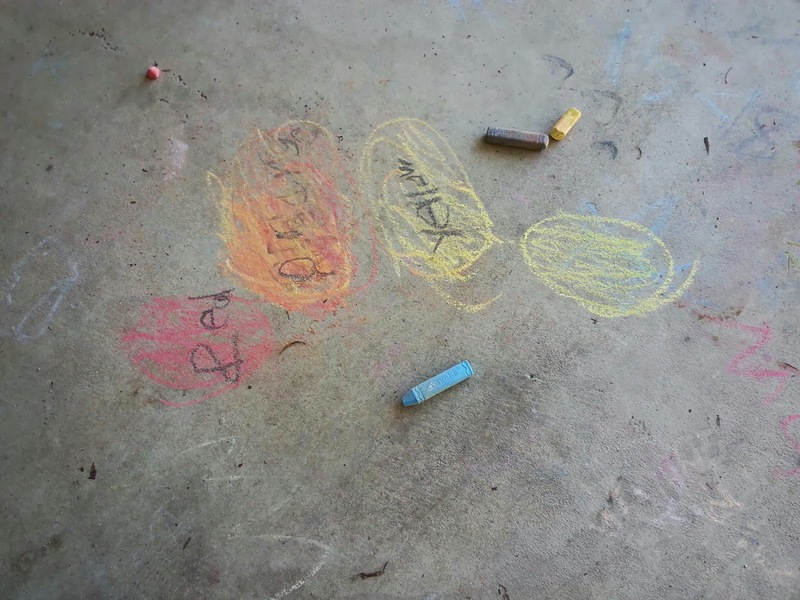 After he walked in the blue he grabbed his chalk and started drawing a color wheel. 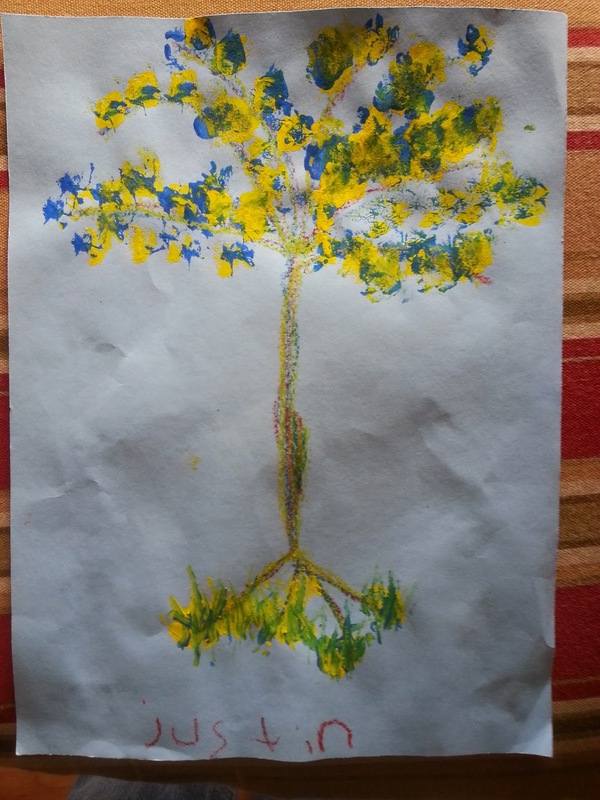 I guess someone was paying attention during the Claude Monet Meet the Masters lesson. Here’s his reproduction of the assignment. The instructors were floored, and I have to admit, so was I. Eventually, he used the three colors I had poured and then went on to mix orange, green, purple and then finally brown. The only challenge was the paper and paint combo was slippery and I probably shouldn’t have set it up in a slope. I just held his hand when he was walking. I think we will make thank you cards with the end result. Grandparents, aunts and uncles love these kind of things.